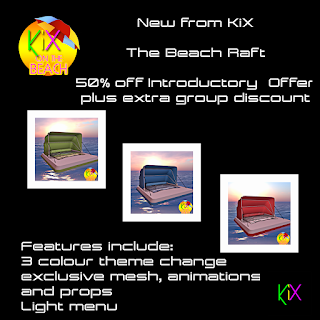 As we approach July and summer is here, KiX is proud to release the Beach Raft at a special introductory price of 50% discount (plus an extra 10% for group members in the Main Store or check it out on the Marketplace. Not only is there a discount but every adult version bought includes a free PG version. 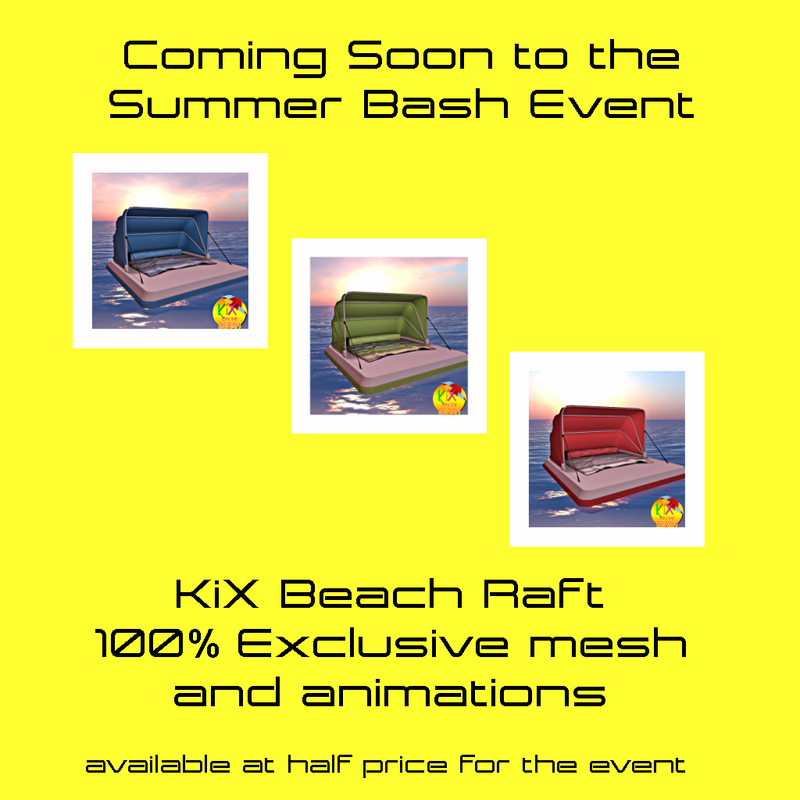 We also have a new mesh island demo area for the KiX on the Beach range with a teleport down from the store. It's a nice spot to hang out and watch the whale and dolphin too. Don't forget to enter the raffle which could win you a 1000L$ gift card or check out the club events where we give out KiX prizes often. Available in both adult and pg versions with exclusive and original KiX mesh, animations and props. 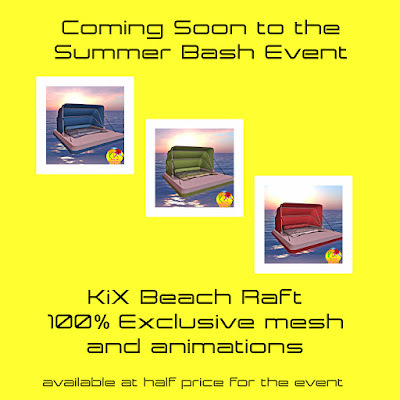 The KiX Beach Raft is the latest release from the KiX on the Beach range and will be released at half price for the Summer Bash starting on 20th June 2016. The raft is all original and exclusive to KiX mesh with over 150 original KiX animations in the adult version. There is a PG version available too. 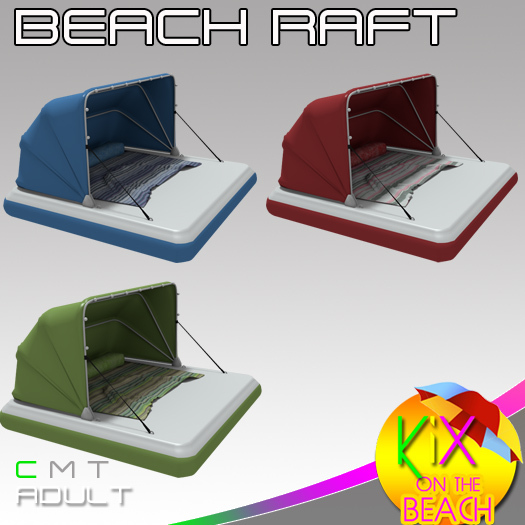 With 3 colour schemes in a texture change menu and numerous KiX exclusive mesh props this raft will grace any beach or pool this summer and compliments the other items in the KiX on the Beach range.